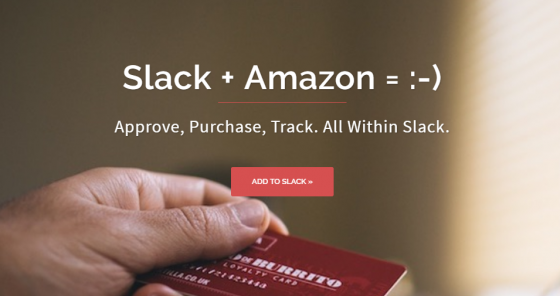 Slack is the team communication/collaboration tool of choice in startups and remote work environments, and Amazon is the one-stop-shop of choice for the same crowd. Combining them so you never have to leave Slack to get your K-cup order in? Being able to go to as few websites as possible and still do everything you need is the dream. For companies or teams that do a lot of purchasing, BuyerBot is an app that lets teams approve, purchase, and track Amazon orders – all within Slack. BuyerBot is a simple – and free – Slack app that allows team members to request items from Amazon, have them approved (or denied by designated people), and then added to a shared cart which can be purchased immediately or saved to later. It is designed for Slack teams to keep track of who wants what from Amazon, and includes numerous feature such as individual carts for certain channels, multiple approvers, and full reporting. Request – Team members can search for items on Amazon directly from Slack using the slash command /amazon followed by keywords, or they can simply paste the URL of the item they’d like to buy after the slash command or as a direct message to BuyerBot, which will then process their request to purchase the item. Approve – Companies or teams can choose as many people as they’d like to be “Approvers,” i.e. people who can accept or decline purchase requests. Once accepted, requested items are added to a central Amazon cart for checkout, whether now or later. Track – Approvers can download reports with details of each Amazon item/purchase request, including price and quantity, requester, approver, and when the request was made. Head over to the website to download BuyerBot for free.